Quick Quotes can be used by anyone; from a startup company to a huge organisation. If you need to buy something and need to find the best value, you can use quick quotes. It has had a huge interest in its ability to help manage tail spend in large organisations. No idea what tail spend is and whether that matters to you? Very simply tail spend can be classified by looking at your spend using the Pareto rule. 20% of your spend split between 80% of the categories. Sounds confusing? Let’s put it simply and show it with your own day to day spend. You most probably spend 80% of your money on 20% of the categories – food, rent, petrol and bills. The remaining 20% of spend is used on the remaining 80% of categories. This could be golfing, football tickets or even beers. You probably budget for the 20% of categories better than you do for the remaining 80% as they’re the most pertinent. However, neglect the 80% can lead to overspend you aren’t aware of due to the fact that they’re not as important. Let’s say you’re a procurement team for a large organisation. This organisation has decentralised procurement in branches dotted in different locations throughout Europe. How do you keep an eye on their quotation activities? How do you know whether they’re using approved suppliers? 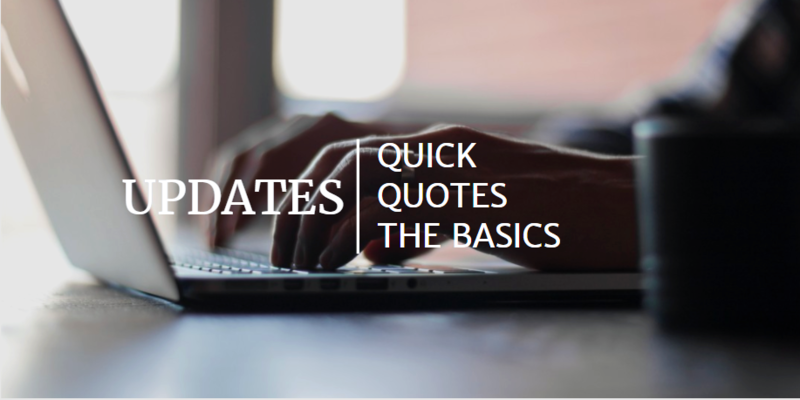 Quick Quotes allows all that information to be stored in one easily adoptable portal. You don’t have to sift through emails or through the filing tray. It is all readily available on the web browser. Using our hierarchy you can also select who can see which events from within the organisation. We have found that by using a tool instead of emails generates more savings. This is due to a number of reasons. Firstly the platform by its very nature encourages suppliers to sharpen their pencils even though it’s just a Request for Quotation (RFQ). Secondly, if you use email, you normally limit the number of suppliers due to the plethora of questions via email through to challenges with collating the multitude of different pricing formats that invariably come in. With Quick Quotes, you can send to …5…10 additional suppliers with little extra overhead thereby ensuring you find the actual market price. You can append advice from the central procurement team to the portal to help anyone accessing it move forward quickly in line with company policy. The tool also gives access to pre-approved groups of suppliers that can be set up by central procurement thus ensuring everyone uses the best supplier pools. Quick Quotes will help you save time and money and eliminate the inefficiencies of email. Give us a call or drop us a chat to find out more. We look forward to hearing from you. You can try for a month for FREE.